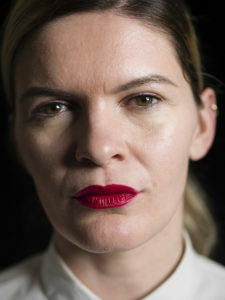 ‘Speak Out’ is an ongoing photography project on women, survivors of domestic violence. 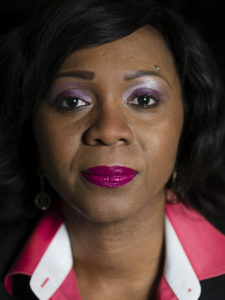 Following the changes in in the UK of the 2013 legislation on domestic violence, where the definition of ‘domestic violence’ broadened to encompass different types of abuses, including financial, physical, psychological, sexual or emotional, the project ‘Speak Out’ highlights and raises awareness of those layers to many women in order for them to access a much needed help. Domestic abuse still remains a taboo across many cultures. Through her photographic project. Wamaitha brings to light the voices of women who have taken a stand and broken the silence about their personal experiences of domestic abuse and its devastating effects – and the journey to move forward, not as victims but survivors. Wamaitha will speak about the ‘Speak Out’ project on the 4th February 2019 in the next Photojournalism Hub Debate event. 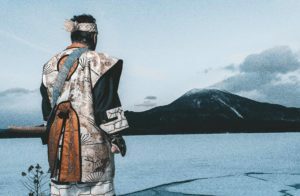 Master – An Ainu Story’ tells the the life story of an Ainu man – Kenji Matsuda, who grew up being discriminated against in his own land because of his Ainu heritage and gives a rare insight into the life of the indigenous people of northern Japan. 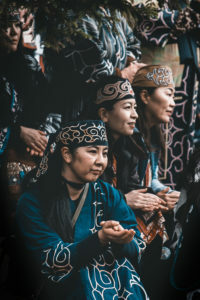 There is very little documentation on the Ainu in English and few Japanese know much about them. 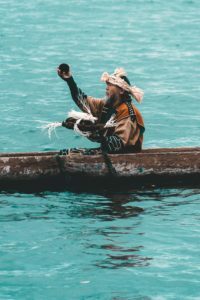 It is thought that there may be up to 200 000 people of Ainu decent living in Japan today, but due to the history of discrimination against them only 10 percent of that number will admit to having Ainu roots. This exhibition looks at the personal story of a man who carried the legacy of shame from his grandparents generation and has tried to help revitalise this deep and rich culture that the Japanese government attempted to eliminate at the end of the 19th century. The exhibition ‘Master- An Ainu Story’ is currently showing at The Brunei Gallery, SOAS in London until 15th December. Open everyday except Sunday & Monday from 10:30am – 5pm, and until 8pm on Thursdays. In April 2015 I travelled to Ukraine to document the long-lasting implications of Chernobyl’s nuclear disaster for both the environment and the people 30 years after the disaster. The Chernobyl’s accident seems to have been forgotten by society. I wanted to give a voice to the lives of those carrying on with the poisonous legacy of Chernobyl. In my first trip, I visited the 30 km exclusion zone where around 200 people are still living. For my research I interviewed doctors working at the National Institute Cancer Research in Ukraine, NGOs working with victims of Chernobyl and scientists who are studying the DNA modifications both in plants and human beings. I become very interested in remote areas, which are still contaminated by radiation and where people have limited access to hospitals and doctors. “Life after Chernobyl” portrays life both inside the 30 Km exclusion zone and Narodichi region, 50 km southwest of the nuclear plant. This turned out to be one of the worst hit areas by radiation but only detected five years later. With my collective “Food of war” we are helping to raise awareness of the Chernobyl’s accident through European exhibitions, talks and conferences. We have also collaborated with artists reflecting on the consumption of food in countries where radiation travelled after the 1986’s accident. Natalia, school’s teacher stands by the entrance of Maksimovichy village, where many houses were abandoned after Chernobyl’s disaster. Nastia Natsik with her daughters Iuliana, Madina and Lia in her family house in Khristinovka. Lia, 2 suffers from a brain tumour. 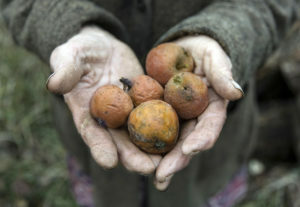 Her father,Emil, 37, fled the conflict in Abkhazia (Geogia) when he was eleven, 3 years after Chernobyl’s disaster. Though evacuation was enforced in 1992, many families decided to stay. Tatiana Ignatiuk in her kitchen in Maksimovichy, where she lives with her three children and husband who works in the forest. Anna is holding apples from her tree. 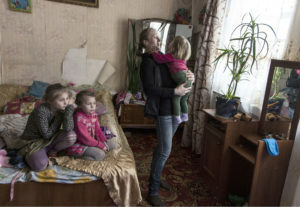 She lives in the evacuated village of Copachichi in the 30km exclusion zone of Chernobyl. 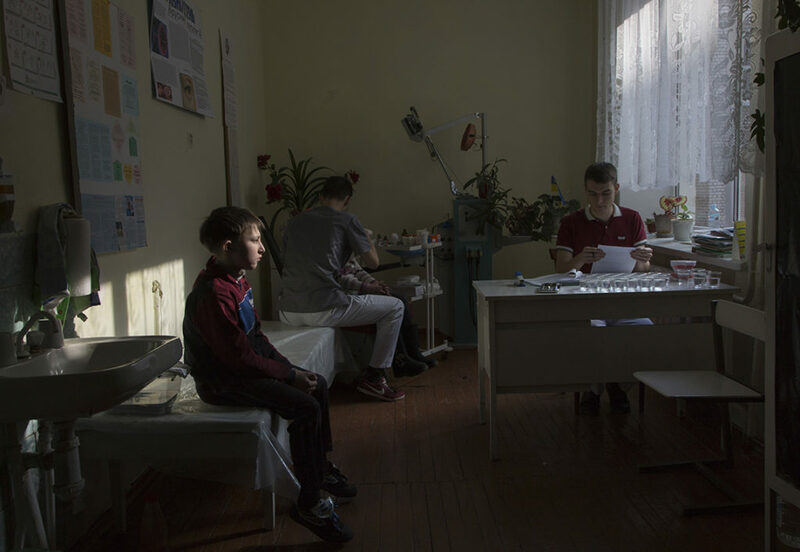 Dima, 6 years old is waiting to be seen by Alexander and Daniel, two volunteer doctors from Kiev. About 60% of children in Narodichi region suffer from malnutrition alongside cardiovascular and respiratory diseases. Children are no longer considered victims of Chernobyl. Ignored by the authorities, many of those children rely on local NGOs and international aid organisations for medical treatment.